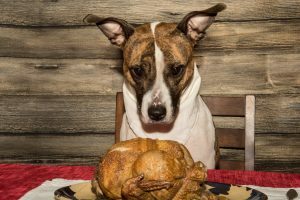 Even the most social pet might become overwhelmed by Thanksgiving festivities. By taking these precautions and being sure to monitor your pet, you can help them to have a safe and happy day as well. If you have any questions about how to safely celebrate with pets, please give us here at All Creatures Veterinary Center a call at (661) 291-1121 today!